Below you fill find all funeral homes and cemeteries in or near Hughson. 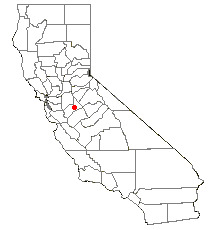 Hughson is also known as: Stanislaus County / Hughson city. Zip codes in the city: 95326. It was reported by Orange County Register on February 17th, 2019 that Artemia Thompson (Latorre) perished in Hughson, California. Ms. Thompson was 69 years old. Send flowers to express your sorrow and honor Artemia's life. It was disclosed on January 2nd, 2018 that Joyce B Robertson (Blackmon) passed on in Hughson, California. Ms. Robertson was 81 years old and was born in Jackson, MS. Send flowers to express your sympathy and honor Joyce B's life. It was written by Monterey Herald on September 30th, 2017 that Zora Victoria Louise Martin (Maksente) died in Hughson, California. Ms. Martin was 86 years old. Send flowers to share your condolences and honor Zora Victoria Louise's life. It was written on May 28th, 2017 that Phyllis Ann Virginia Coenenberg passed on in Hughson, California. Coenenberg was 83 years old and was born in Brainerd, MN. Send flowers to express your sorrow and honor Phyllis Ann Virginia's life. It was revealed by Monterey Herald on March 10th, 2017 that Mary Jane McCrary (Brancato) passed on in Hughson, California. Ms. McCrary was 84 years old. Send flowers to express your sorrow and honor Mary Jane's life. It was noted by The Californian on September 14th, 2016 that Victoria "Vikki" Grodt (Walint) passed away in Hughson, California. Ms. Grodt was 63 years old. Send flowers to share your condolences and honor Victoria "Vikki"'s life. It was written by San Mateo County Times on February 7th, 2016 that Joseph III Max passed away in Hughson, California. Max was 69 years old. Send flowers to express your sympathy and honor Joseph III's life. It was noted by San Mateo County Times on January 13th, 2016 that Richard Duane Hansen passed on in Hughson, California. Hansen was 84 years old and was born in Parker, SD. Send flowers to share your condolences and honor Richard Duane's life. It was disclosed by Modesto Bee on November 10th, 2015 that Kenneth Edward "Buddy" Kenyon died in Hughson, California. Kenyon was 77 years old. Send flowers to express your sympathy and honor Kenneth Edward "Buddy"'s life. It was revealed by Modesto Bee on November 7th, 2015 that Ben Alvin Bates passed away in Hughson, California. Bates was 81 years old. Send flowers to express your sympathy and honor Ben Alvin's life. The population was 3,980 at the 2000 census. Hughson is a city in Stanislaus County, California County, California, United States. It is part of the Modesto, California Modesto metropolitan area Statistical Area. . . The official website for the city of Hughson is http://www.hughson.org. Mr. Nelson's services are being handled by P.L. Fry & Son Funeral Home, 290 North Union Road ... a graveside service at Lakewood Memorial Park, 900 Santa Fe Ave., Hughson, CA. Remembrances could be made to Disabled Veterans Charities, 13550 E.
Lakewood Funeral Home, Hughson, CA : Reviews and maps - Yahoo! Local, 209.883.0411. Get Ratings, Reviews, Photos and more on Yahoo! Local. Listing all funeral homes in Hughson, California so you can easily send flowers to any location (same day delivery) or find any funeral service. We work with local florists and flower shops to offer same day delivery. You will find budget sympathy flowers in Hughson here. Our funeral flowers are cheap in price but not in value.